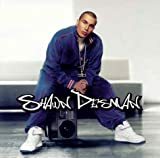 SHAWN DESMAN LET'S GO LYRICS"
(But she takin her time). (She wanna get it tonight). So I stepped to her and asked her 'Whats your name girl'. She turned around and said it doesnt matter Its about time you came. I've been waitin all night for you. Cause your lookin so fine tonight (tonight). As long as your mine tonight (tonight). Just wanna see you move your body girl (Let's go). You make a man wanna rock your world. She said, "Hold up boy I left somethin inside"
(and about five foot five). So I asked her does your girlfriend need a ride? She said "No cause she ain't goin home tonight"
And that as cool with me. Can't believe the way they put it down on me. So smart about it And now they got me in between. So I said Let's Go. 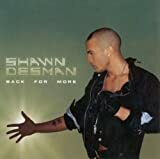 All Shawn Desman - Let's Go lyrics are property and © copyright of their respective owners.